We are a dedicated team of UK and international experts that bring together the latest thinking, innovation and best practice in generating support for important causes. For over 25 years we have been helping charities and non-profits redefine their fundraising & campaigns, we deliver results and supporter experience through our consulting, strategy and research work, and the implementation of integrated multi-channel, digital and telephone campaigns. We have recently opened our first UK based call centre, in Brighton, in response to a growing demand for a high-end, tailored phone offering which is backed by strategic planning, innovation and a focus on evolving the channel and its use as a tool to build engagement, deepen relationships and grow life time value. It's not always about asking for money: but when it is, we're the best at that too! We exist for the clients that are constantly looking to evolve and innovate, and those that believe in the value of high-quality supporter experiences. We continue to bring unique products to the UK, often having proven their success elsewhere with our international team, such as Telephone Town Halls, SMS tools such as Hustle, or our mid-level concierge service. © 2018 Strategic Communications. All rights reserved. The environment for non-profits in the UK is challenging. As a sector we are challenged to change our approaches and to innovate, to step-up our fundraising, communications and advocacy and enhance the supporter experience. We are working within new legislation and expectations from regulators, supporters, and the public. Stratcom we are both strategists and practitioners. Together we can develop fresh and innovative solutions to engage your supporters and boost your income in a rapidly changing landscape. Our experienced consultants will work with you to create a practical, appropriate, and insightful strategy to help your reach your communications, organisational and fundraising goals. And then our fundraising team can help you implement that strategy through excellent campaign execution. 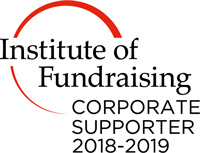 We are Digital, Telephone and Mobile fundraising specialists helping charities and non-profits deliver excellent supporter experiences and maximize the effectiveness of their fundraising, driving both short-term income and life-time value. Our expertise in communications, research and engagement informs our approach to fundraising. Every communication seeks to be interactive and to drive measurable engagement. Quality and supporter experience are at the heart of every campaign. We have developed a comprehensive and proven engagement methodology, anchored with research to ensure firstly that we better understand the target audiences and stakeholders. From the research we identify target audiences and goals, and framing for each audience, allowing us to develop a communications plan and determine engagement tools and strategy. Telephone Town Halls [TTH] are a great example of one of our unique engagement tools. TTHs are a cross between an extremely large conference call and your own private talk radio show. TTH allows you to quickly engage thousands of supporters in genuine conversation, making it ideal for communications, donor relations and fundraising. For less than the cost of a direct mail campaign, you can achieve the reach of a TV ad, the energy of a radio show and the intimacy of speaking directly with a supporter. Solid opinion research is a sophisticated tool that will sharpen your strategy and your communications efforts. We can help you navigate this demanding field and get results. For fundraising organsations, we do this by combining our experience as fundraisers and sophisticated research methodology. We also provide opinion research products for strategy and messaging for advocacy campaigns, political campaigns, and membership engagements.